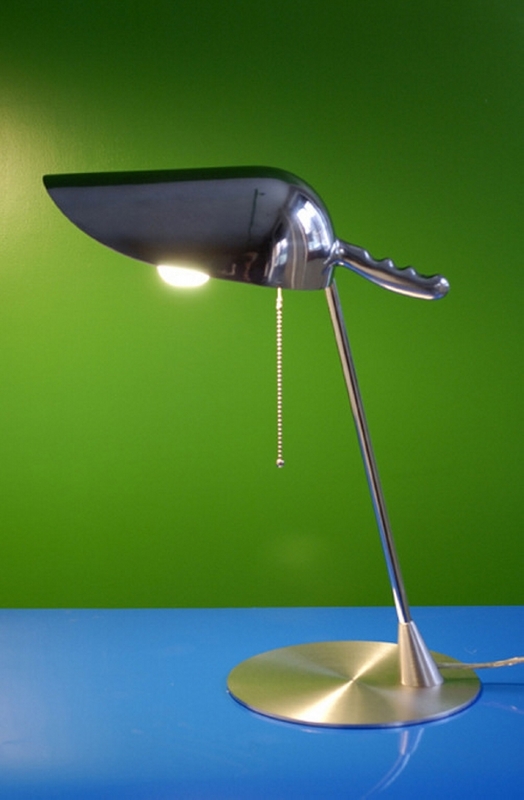 Did you guys follow previous lamp recycled ideas presented on our website? Many of them were recycled with shipping pallets, some of them were made with repurposed seashells. 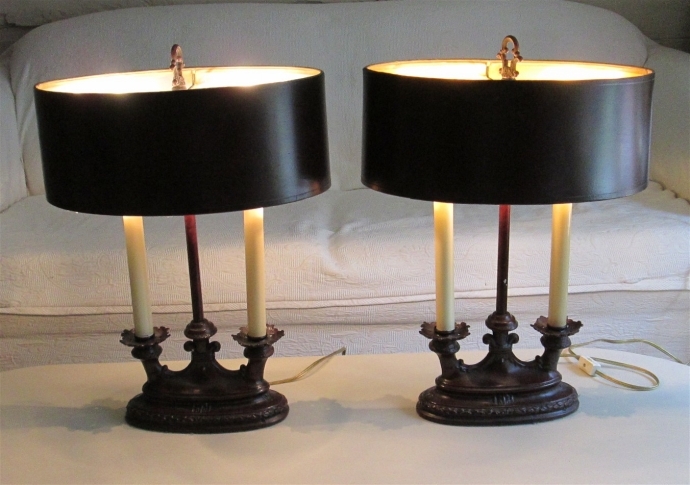 Even driftwood made some most artistic lamps, and the good thing is that I have seen many people who have given them a try and they were really happy with them. 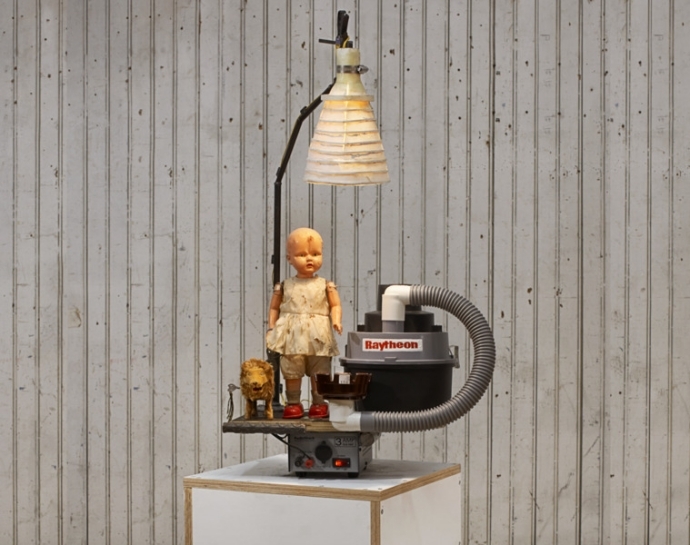 I know all the art lovers just love to recycle such crazy stuff. And they really make impact on their visitors to show their aesthetic sense. 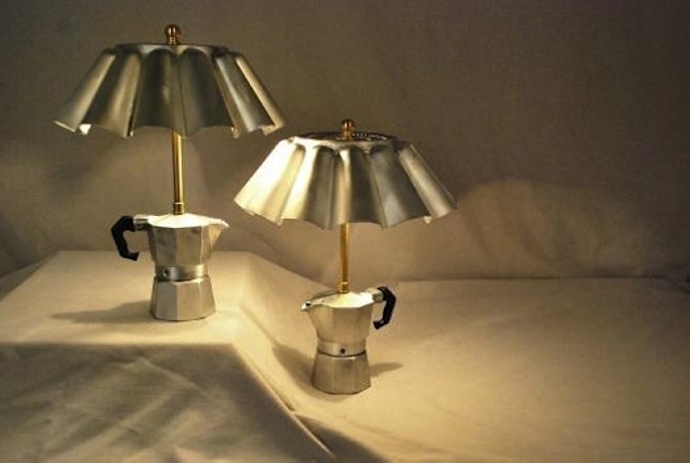 Here are some artistic upcycled lamp art ideas that you guys would really love to recycle. If you have some old cutlery especially forks, you would just need a common Edison bulb along with a metallic plate. 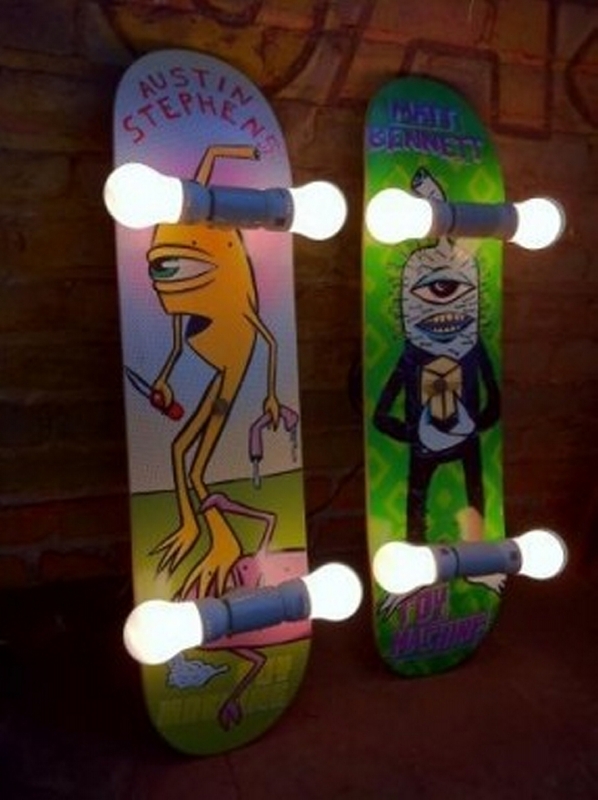 And having all this, you would end up making something like this. It gives a pretty wild look. 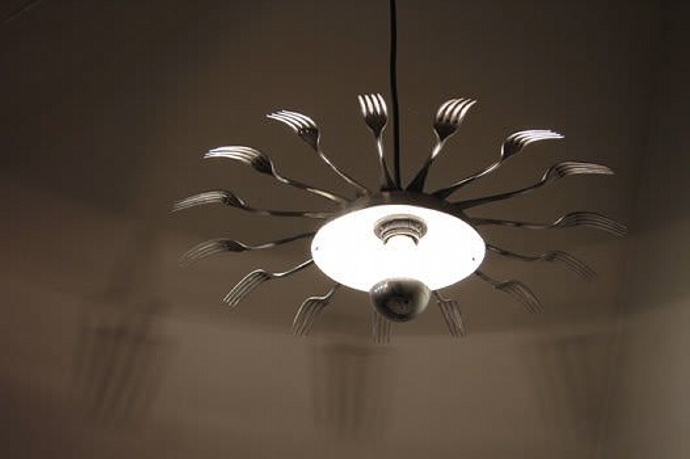 Now hang it inside your kitchen, this would look pretty amazing out there. I just wonder that who on earth would have thought of recycling the pottery into a lamp, but this credit goes to our team and the crafters here who have done this unique project. 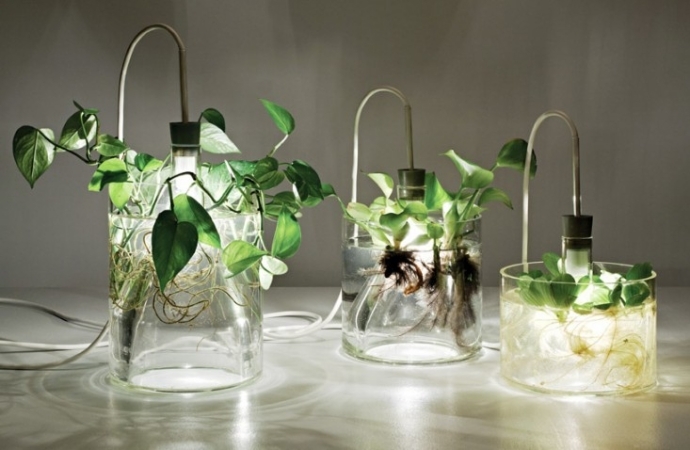 Wherever placed, this would just look amazing especially in your drawing room. While cleaning the house we come across a number of things that are broken parts of anything that is not in use anymore. 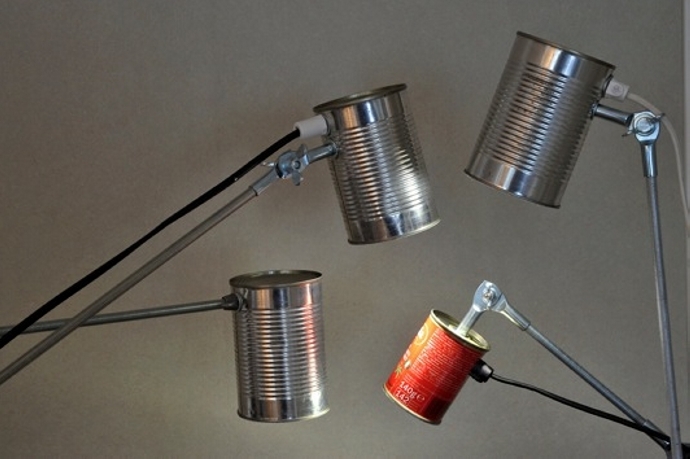 We can use such garbage in recycling the lamps, this just takes a lot of creativity and innovation. I think this project would define this approach in a better way. 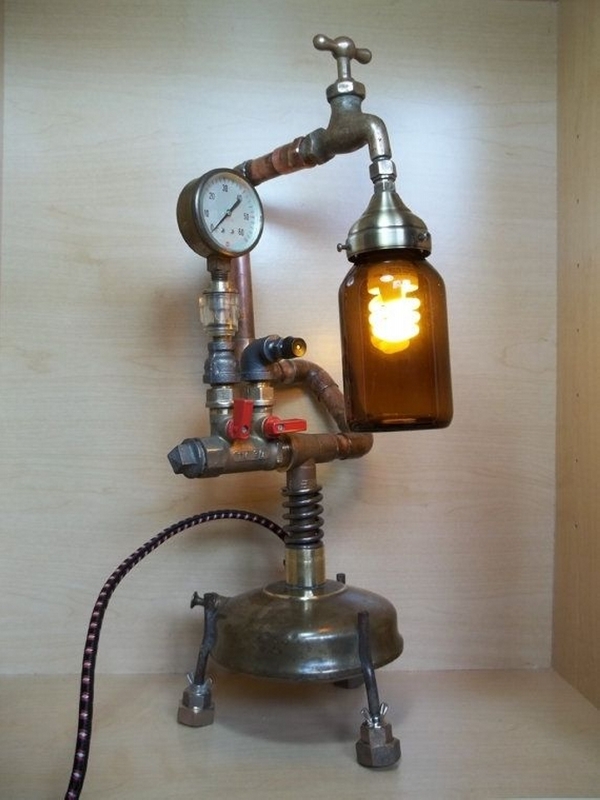 How about recycling this industrial lamp? The iron pipes used in this lamp give a quite heavy look. 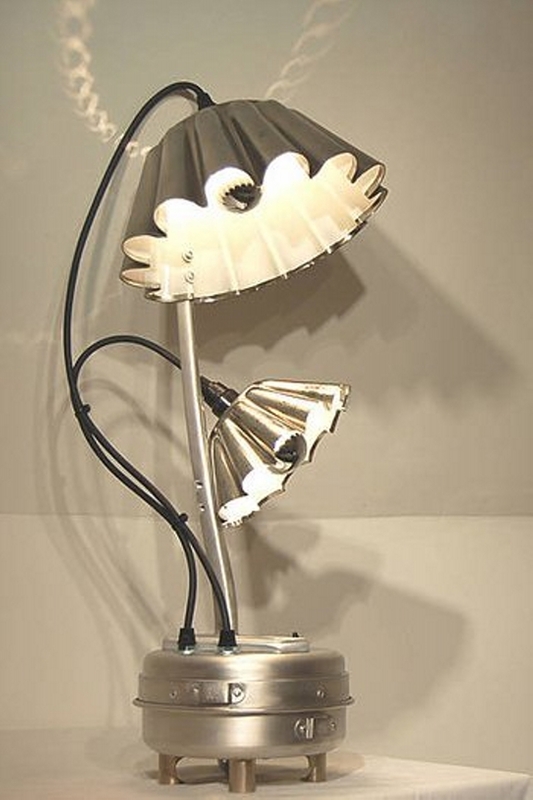 The circular bulb socket installed on the front is reclaimed from some old lamp, and a simple energy saver is installed instead a regular Edison bulb. 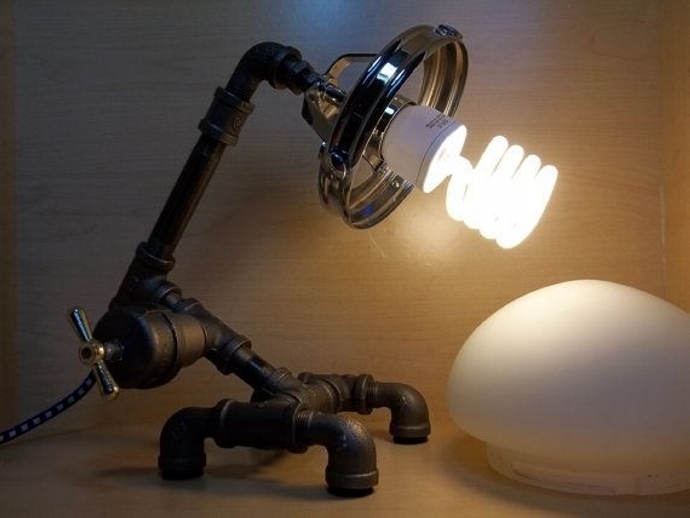 This is something beyond the general perception of regular lamp. 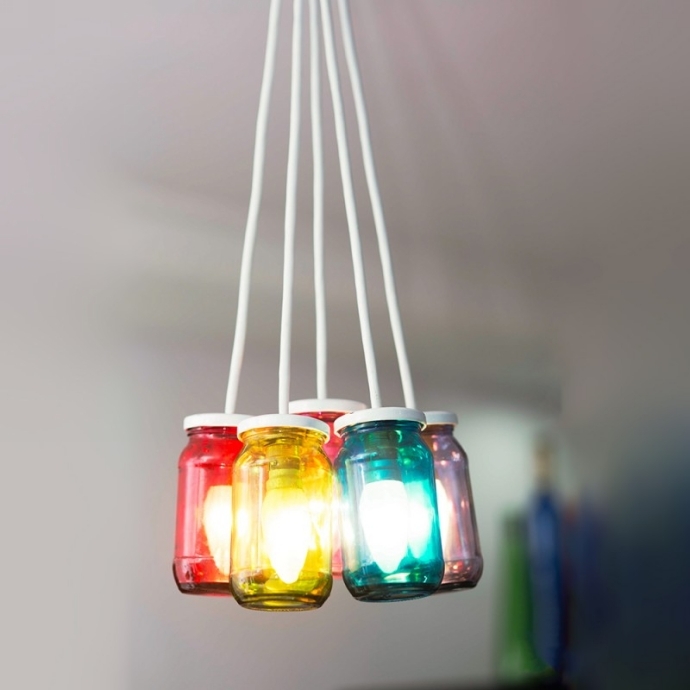 These cute mason jars have been our companion in countless projects and interestingly they have never disappointed us at all. 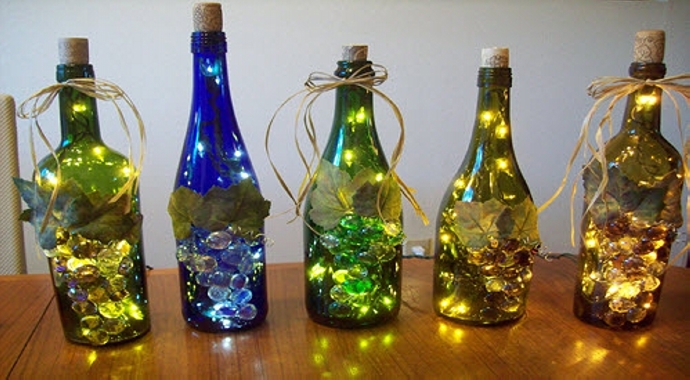 Once again they are here with all of their shine and glow to recycle a cute lamp that we haven’t seen so far. As we said earlier that such crazy creations can be made even with the trash. This totally depends on your creativity and innovation that how you exploit some most ordinary and useless materials. 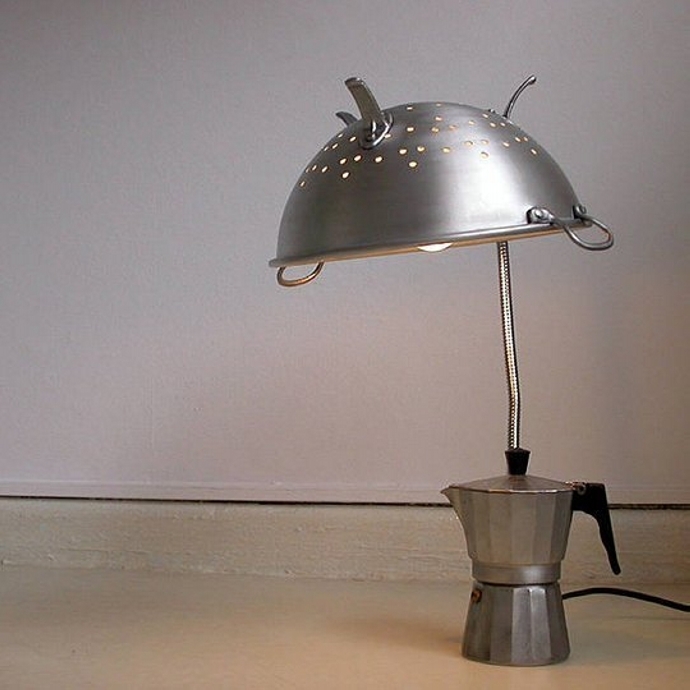 We truly give a new life to the recycled objects by making certain amendments and we end up with something artistic. 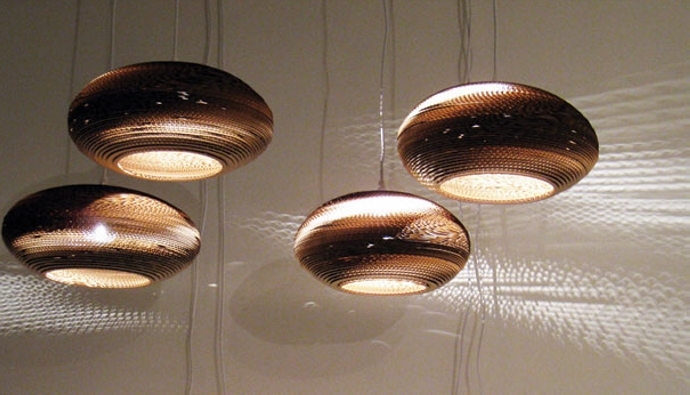 Do you remember the good old days when the metallic saucers were pretty trendy? 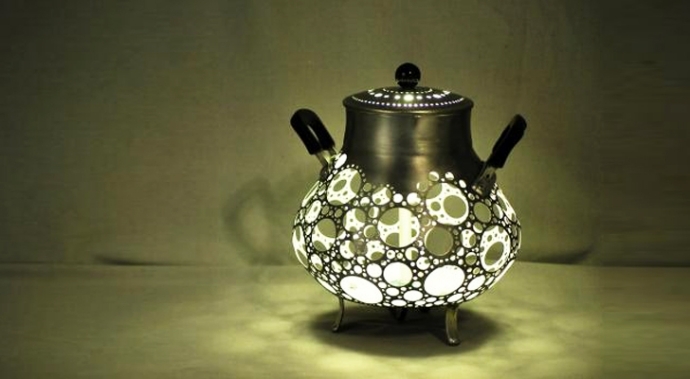 People used to love serving tea in them. But for now they are considered to be a useless stuff. 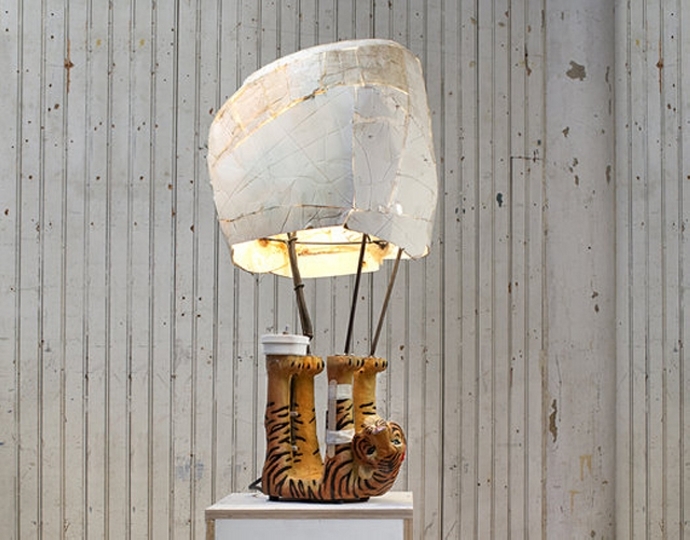 So instead of placing them in museum, recycle them and enjoy something crazy like this recycled lamp. 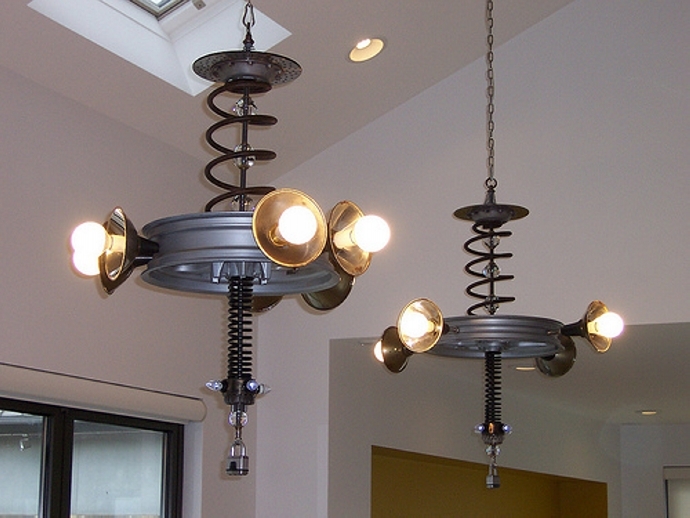 A mere decoration piece can be put to such a great and creative use. 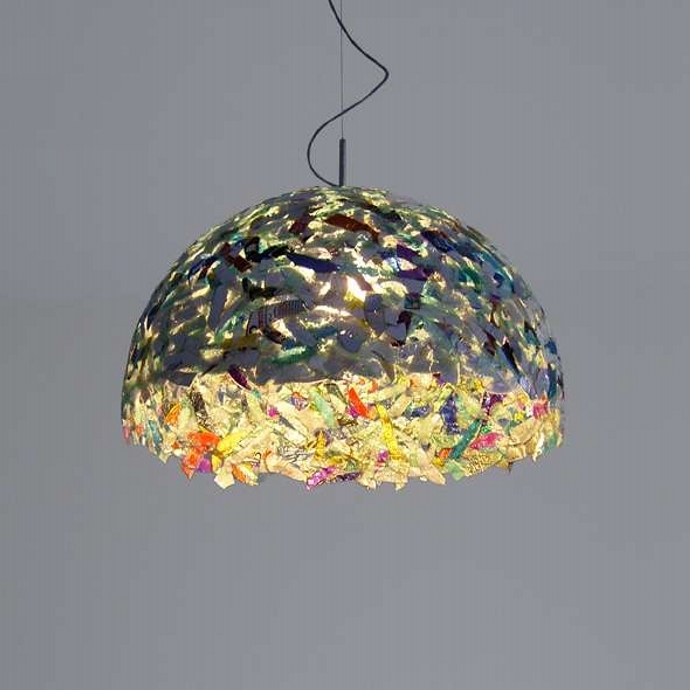 The lamp shade, the base, each and every component of this recycled lamp is made using the garbage. You can place such insane stuff inside your room, or you would have to make a lot of explanations to them whoever sees it.